Simply breathtaking! 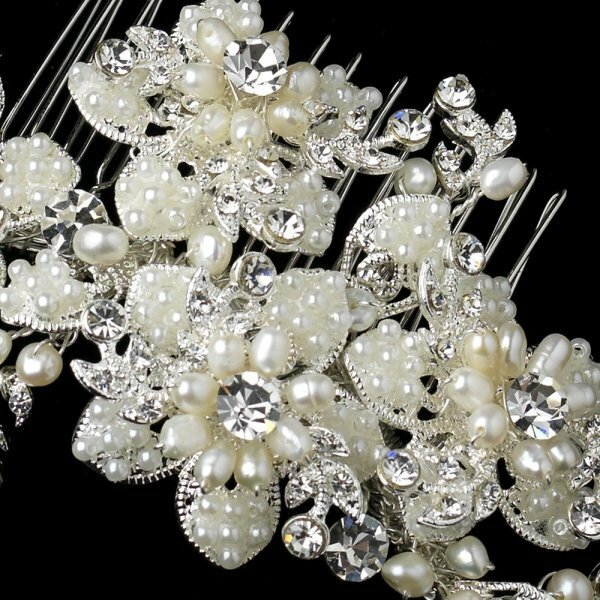 This beautiful hair comb features a lustrous silver plated metal and is set off by a remarkable texture of flowers, petals and leaves that are composed of various rhinestones, beading and off white / ivory pearls. The shape of this comb itself is truly unique in the sense that is has a trailing tail that contours magnificently around a full or partial up do hairstyle. 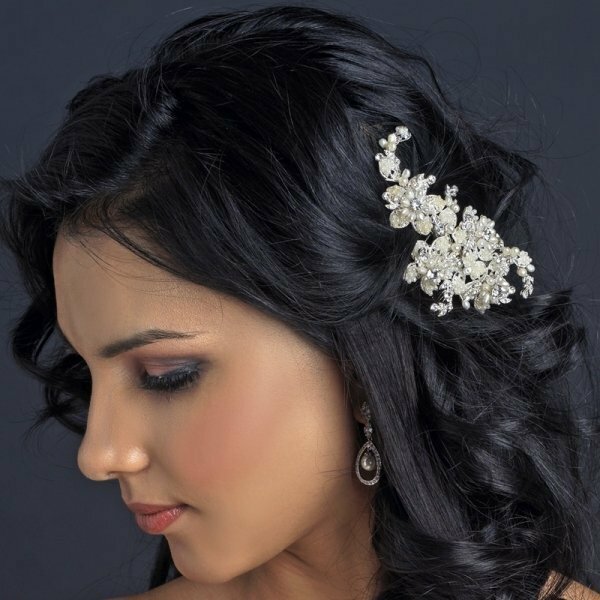 For maximum security and comfort, simply insert each of the rounded prongs into the hair without worry of its stability throughout the duration of its wear. 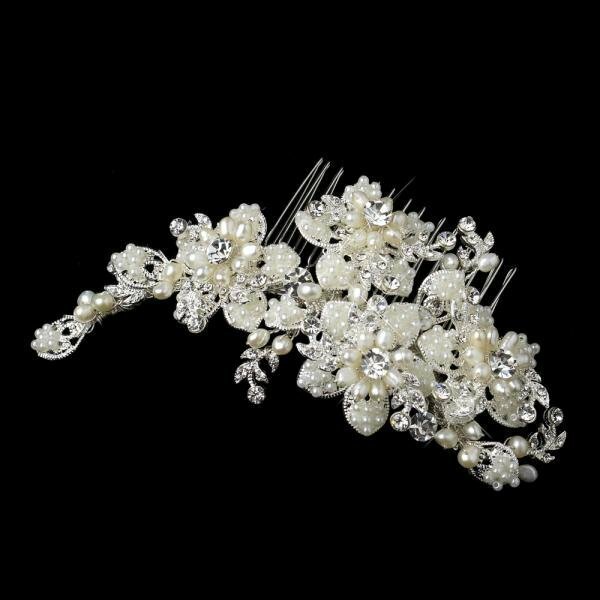 It's very pretty and delicate, exactly what you see in the photo. The wiring is very soft so it can be shaped to fit your head. Good service and communication from How Divine.